A popular UFC heavyweight is calling it quits. 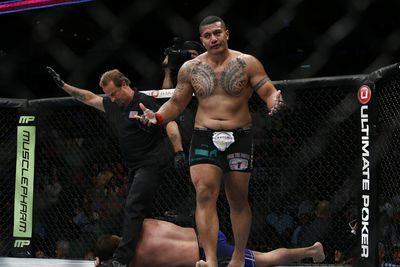 Soa Palelei, who gained notoriety for his charisma and philanthropy over the last two years, announced his retirement from mixed martial arts Monday, according to a statement he released via Twitter. He was not cut by the UFC, his manager Audie Attar told MMA Fighting, despite reports. Canelo vs Khan prediction: Who is winning the fight tonight?